This week's program is a rebroadcast of Alabama Center for Traditional Culture Director Joey Brackner interviewing Alan and Karen Jabbour about their book published in 2010, Decoration Day in the Mountains: Traditions of Cemetery Decorations in the Southern Appalachians. Watch the Jabbour's Decoration Day presentation at the Alabama Department of Archives and History in 2013 below or click this link if it does not show up on your browser. Folklorist Anne Kimzey talks with program manager Deb Boykin, who discusses her work with ASCA's Community Arts program and her experiences with the Mississippi Arts Commission and the Mississippi Band of Choctaw Indians. When Joey Brackner visited the Black Belt Folk Roots Festival in Eutaw, Alabama he talked to festival organizers, craft artists and a Fayette County step group that performed at the event. This re-aired progam is to help promote the 2014 festival to be held Aug 23-24 on the Old Courthouse Square in Eutaw, Alabama. Here is a video produced by Russell Gulley about the 35th Annual Black Belt Folk Roots Festival in 2010. 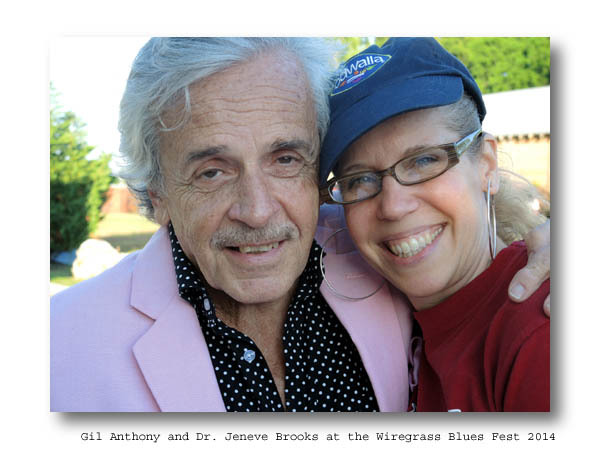 In this program Steve Grauberger interviews Gil Anthony and Dr. Jeneve Brooks about the annual Wiregrass Blues Fest held in Dothan, Alabama. Gil Anthony is a well know local blues promoter and radio personality, located in Enterprise, Alabama, who produces a weekly Blues Power program airing on WWNT radio in Dothan. Dr. Jeneve Brooks is Assistant Professor in Sociology at Troy University, Dothan campus. Together with the Wiregrass Blues Society they are essential to the continuation of the Wiregrass Blues Fest that just finished its 3rd annual event on May 3rd, 2014.